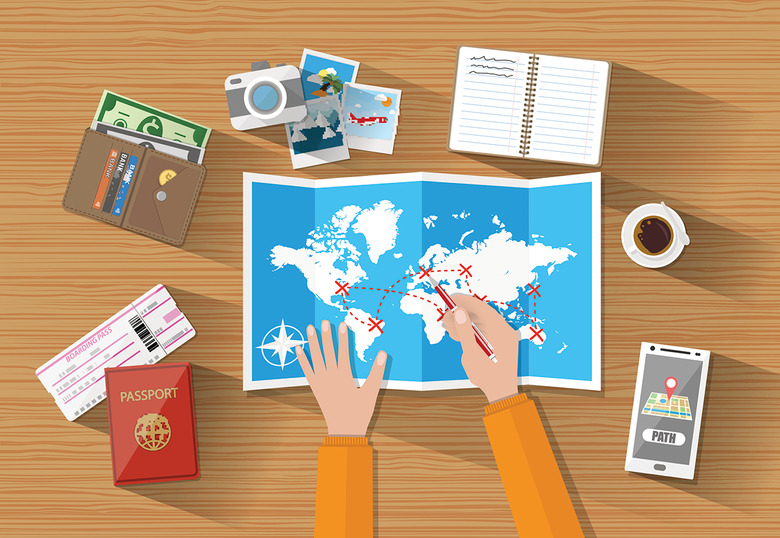 New tool estimates whether you can afford to take time off to trot the globe. Millions of Americans obsess over their careers and fret about saving, terrified they won’t have enough to ever retire. The advice now being offered by some experts may surprise these worried souls: Take months or years off from work, travel the world, and enjoy yourself. There’s prudent logic behind a relaxing midcareer break. With longer lives come longer careers and longer retirements — the first so that you can afford the second. But a 40-year career, ending at age 60 or 65, is a very different prospect from a 50-year career ending at 70 or 75. The sabbatical — a chance to recharge midcareer — is hardly a new idea, and it’s still common in academia. But until recently, most wouldn’t dream of quitting their jobs just to have fun for a year or two. And, as Gratton acknowledges, doing so is still a financial impossibility for the vast majority of workers. For well-paid workers in high-demand fields such as technology, however, the idea may be catching on. Wealthfront Inc., the online money manager based in Silicon Valley, launched a tool last month that allows clients to estimate whether they can afford to take time off for travel. They can set a months- or yearslong trip as a priority alongside other goals like retirement or buying a home. Kyle Parrish and his wife, Kate, both in their early 30s and clients of Wealthfront, returned to San Francisco in November from a 15-month round-the-world trip. They visited 25 countries and every continent except Antarctica. They made friends, and kept costs low, by staying with locals—working on farms in Slovenia and Patagonia. The trip cost $40,000 and required Parrish quitting a good, if intense, job in sales at Dropbox Inc., the San Francisco-based cloud storage company. Taking a break to travel isn’t a crazy move, especially for millennials, because it can help give workers the stamina for longer, more sustainable careers, says Jamie Hopkins, a professor and director of the retirement income program at the American College of Financial Services. The prospect of a future trip also gives young workers an extra reason to save, live within their means, and pay down debt—an incentive that’s far stronger than the dream of retiring in several decades’ time. “I’m not sure we can picture what retirement is going to look like in 30 or 40 years,” Hopkins said. By the time millennials hit their 60s, technology could have fundamentally changed work lives, and medical advances could have fundamentally lengthened human lives. Of course, two years living in Paris in your mid-30s can make it a lot harder to afford your other long-term goals—like sending children to college. Wealthfront tries to help customers assess the true financial costs of their travel dreams, allowing them to customize the costs of their trip, and the amount of time they’ll be away from work, and factor in other costs (such as continuing to pay a mortgage) or benefits (such as collecting rent) while they’re gone. For example, the company estimates a 32-year-old who earns $250,000 a year, with $100,000 saved and a 20 percent savings rate, can comfortably afford a two-year trip costing $3,000 a month—assuming they keep the same salary and savings rate after the trip. Those two years of lost income—and the subsequent loss of years of compounding gains on those savings—definitely comes with a price. Wealthfront estimates this 24-month, $72,000 trip ultimately would reduce this hypothetical client’s net worth at age 65 by $1.1 million, from $8.2 million to $7.1 million. That’s still more than enough to cover her estimated needs in retirement, however. A four-year trip would be unaffordable for this client, but a three-year trip could work with another couple years of saving, the firm estimates. “Many clients don’t know how big to dream,” Wealthfront’s Carroll said. When the Parrishes were envisioning their trip, the Wealthfront tool didn’t exist yet, but they spent three years planning and saving. It helped that they already had a good start on retirement saving. In his early 20s, Kyle began putting as much as possible in his 401(k) plan, accumulating more than $150,000 by the time they left. While they traveled, they carefully tracked every expense in a spreadsheet so they didn’t overspend. There’s one risk that Wealthfront can’t help clients with: the possibility that a yearslong break could derail their careers. As stay-at-home parents know well, a key worry for anyone leaving the job market is how to get back in. The U.S. unemployment rate is at near-record lows, but there’s no guarantee that will last. You could leave a well-paying gig in a hot field and return to find the economy in recession and jobs scarce. It helps to work in an industry where employers aren’t turned off by gaps in your résumé. In advertising, “it’s to my benefit to be an interesting person,” said Andrew Wind, 38. He started planning a trip around the world almost five years ago, before he took a job as a creative director at a salary that allowed him to save the $40,000 he figures he’ll need. Three months into his trip with a year to go, his plans are ambitious: visit about 30 countries and 45 cities, finish writing a book, some screenplays and TV pilots, while also learning to be conversational in French and Spanish. “I’m actually more productive when I travel than when I’m home,” he joked, on the phone from Munich, Germany. Similarly, when the Parrishes returned to San Francisco, their trip was less an obstacle to their job hunt than an asset, a way to break the ice while networking. Within six weeks, both found new jobs that paid more than their previous ones. For most Americans, a yearslong sabbatical is impossible to imagine, at least until they’re older and Medicare and Social Security kick in. Half of working-age Americans are at risk of not having enough income when they retire, according to calculations by Boston College’s Center for Retirement Research based on 2016 data. That’s up from 30 percent in 1989. And thanks to the financial crisis, millennials are even further behind than older American workers. The typical American born in the 1980s has 34 percent less family wealth than earlier generations had at the same age, the Federal Reserve Bank of St. Louis estimates. Nonetheless, at least some young workers have been able to buck these trends, paying off their student loans and saving early and often. And, for many of these career-obsessed millennials, the ultimate luxury is time.